Purpletop Vervain (Verbena bonariensis) Attracts Droves of Butterflies! 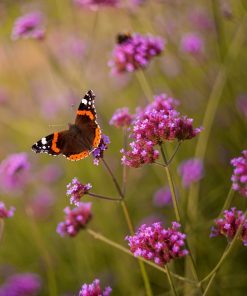 Purpletop Vervain, aka Tall Verbena, or Clustertop Vervain, is an irresistible nectar source for many butterfly species. Who loves Purpletop nectar? 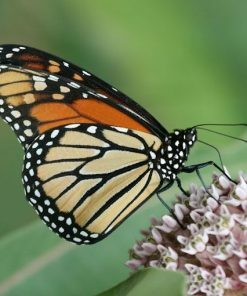 You’ll find Swallowtails, Comma, Longwings, Fritillaries, Hairstreaks, Painted Ladies, Queens, Red Admirals, Sulphurs, and Checkerspots among the blooms. 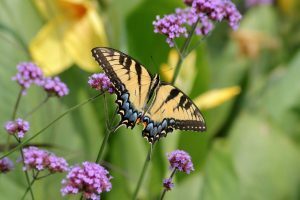 Hummingbirds and bees are also attracted, and your garden party is completed by birds like Goldfinches and Cardinals, who love to snack on Purpletop seeds. 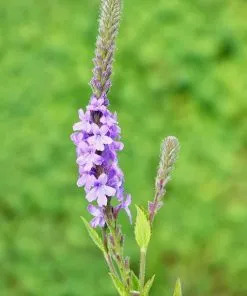 Purpletop Vervain sports elegant, 5-6′ stems, crowned by 2″ regal globes of purple blossoms. 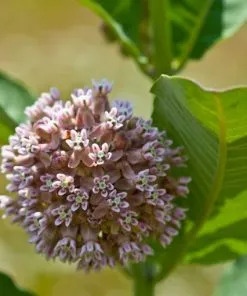 It rises from low clumps of dark green, lance-shaped leaves that allow adjacent flowers to flourish and be seen. 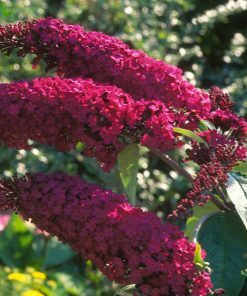 This is why it is sometimes called ‘The See-Through Plant.’ Purpletop is therefore an ideal filler plant in mixed beds, and creates a sweet purple haze when massed in a garden. 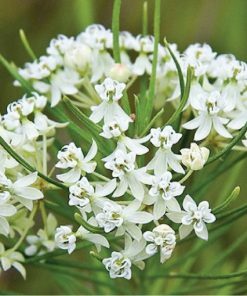 You’ll note a delightful fragrance, too, from first-year blooms, that come even when grown from seed! Purpletop stems are woody enough to not require staking. 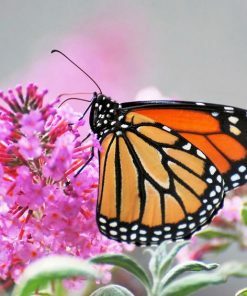 They’re drought tolerant and have below-average water needs. 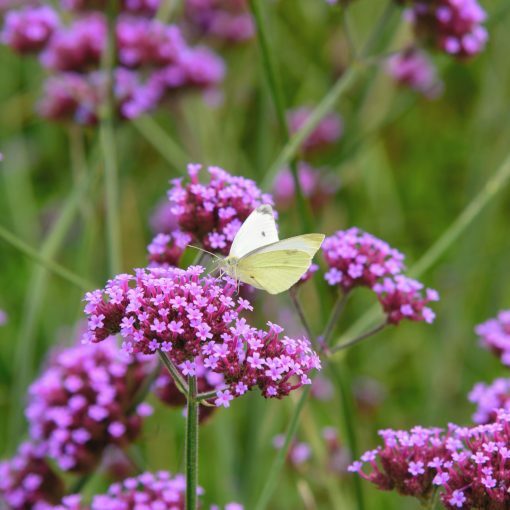 Purpletop is hardy, growing in a wide variety of soil types, from loam to clay. 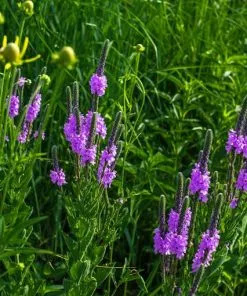 The Purpletop’s ability to thrive in full sun or partial shade makes it very easy to grow–look for it flourishing in the wild along roadsides and in woodland clearings. 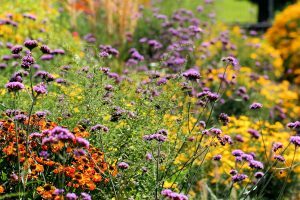 Being a short-lived perennial in warmer states (zones 7-11) and an annual in cooler states, it propagates itself through reseeding. 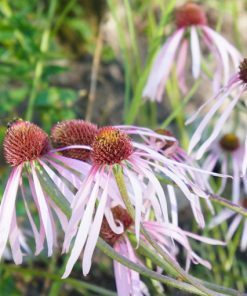 Although this purple beauty is native to South America, it has naturalized in some West Coast, Southern and East Coast states. 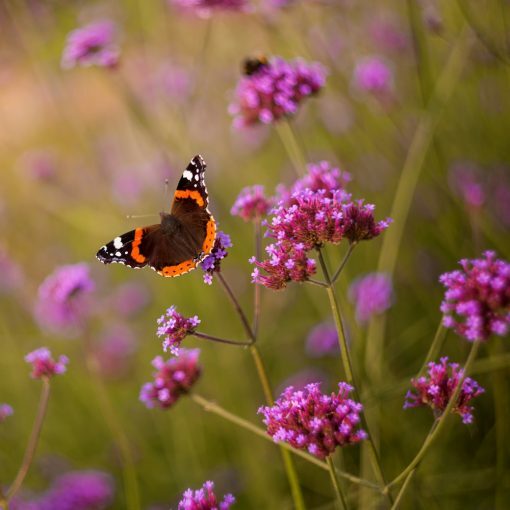 Purpletop has a long blooming period, from early Summer to frost (depending on your zone). And a bonus? Deer and rabbits aren’t fond of munching on it. 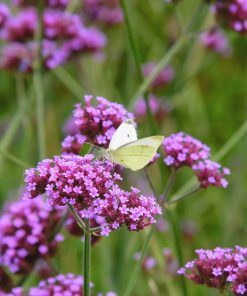 You can sow Purpletop seeds directly in the garden after the last frost date–no cold stratification needed. They can also be be fall-sown. Cover lightly. 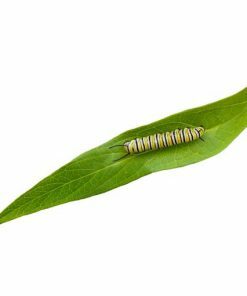 They germinate best with cool nights and warm days. Germination can be sporatic and may take several weeks (until conditions are “right”). If you’d like an earlier bloom, you can also start seeds indoors from 6-8 weeks before the last frost date. Again, providing cool nights and warm days will yield the best results. Simply move them outside when frost danger passes. Container planting is also an option. 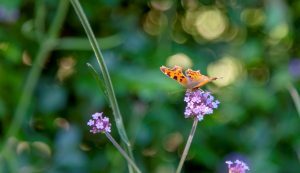 Deadheading can prolong blooming time. Final spacing should be about 15″ apart. 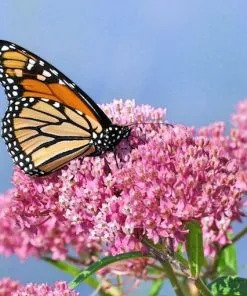 Order your plants or seeds now, and get ready for the the airy beauty and nectar of Purpletop Vervains to create amazing photo ops of these winged creations!